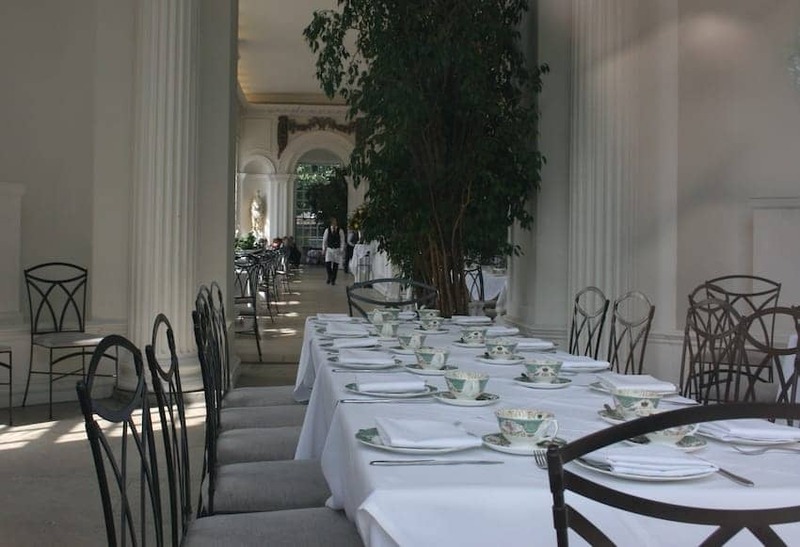 Surrounded by the formal gardens in the grounds of Kensington Palace, The Orangery was built as a garden pavillion for Queen Anne's court entertainment. High ceilings and classical 18th century architecture are a magnificent and cool setting for a relaxed breakfast, lunch or afternoon tea, and this is the only royal palace in London where you can do so! You can also sit at tables outside on the terrace, weather permitting.